Pyramid Press Carbon Reduction Scheme is well under way with the installation of Intelligent Tamlite HILUX pressroom lighting. Removal of the original 400W metal halide low-bay lighting was a high priority to improve lighting in the Press Room and reduce our energy consumption. Phase two is schedule to start early 2013. 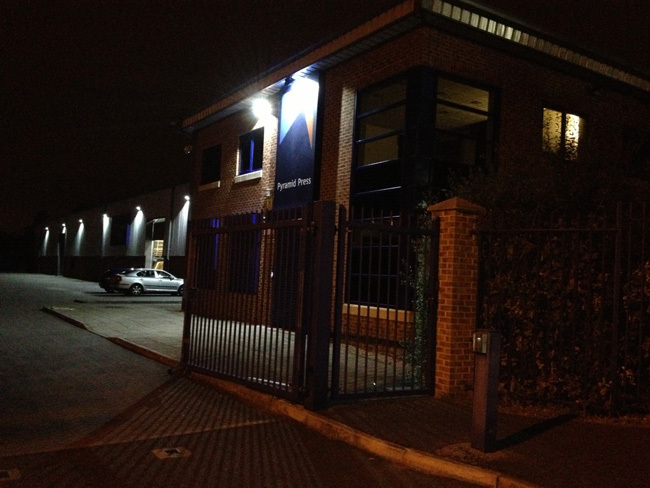 External LED floodlighting has been installed at the site to further lower Pyramid Press’s energy consumption. 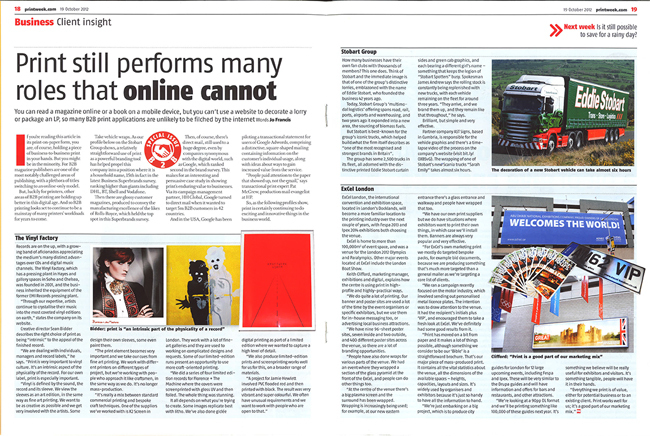 Print Still Performs Many Roles That Online Cannot! 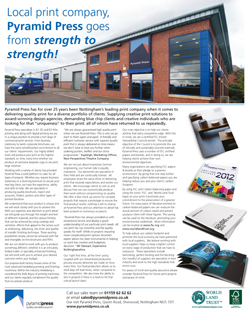 Did you see this article in Printweek? An increasing number of companies are ‘returning’ to print from online promotions. Pat McGrew, HP’s production mail evangelist stated ‘People paid attention to the paper that showed up, not the email’. Whereas The Vinyl Factory’s Creative Director, Sean Bidder, describes the right choice of print as being ‘intrinsic’ to the appeal of the finished record. So for your next promotion, talk to Pyramid Press, and see how we can help make your promotion more tangible, tactical and memorable. Did you see you our full page editorial in the Business Section of the Nottingham Post? We were given the opportunity to promote our services to the local business community. The Business Section has over 89,000 readers per month. If you would like to read our article, please email us and we will send you a copy.